The very successful No 1 Cromer fish and chip restaurant opened by TV chef Galton Blackiston is expanding to an upper floor. Renovation and fitting out works are presently taking place in the space, which it is rumoured will become a more sophisticated seafood restaurant. 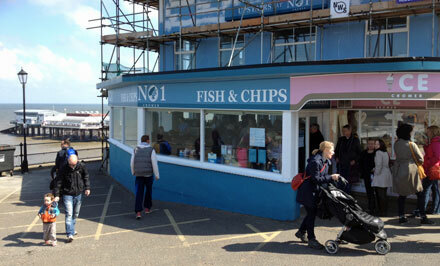 It will certainly have some of the best views for diners in the whole of Cromer. No opening date available but watch this space!